A delegation comprising members of the European Parliament-Taiwan Friendship Group is in country Feb. 17-22 as part of government efforts to expand bilateral exchanges and strengthen relations. 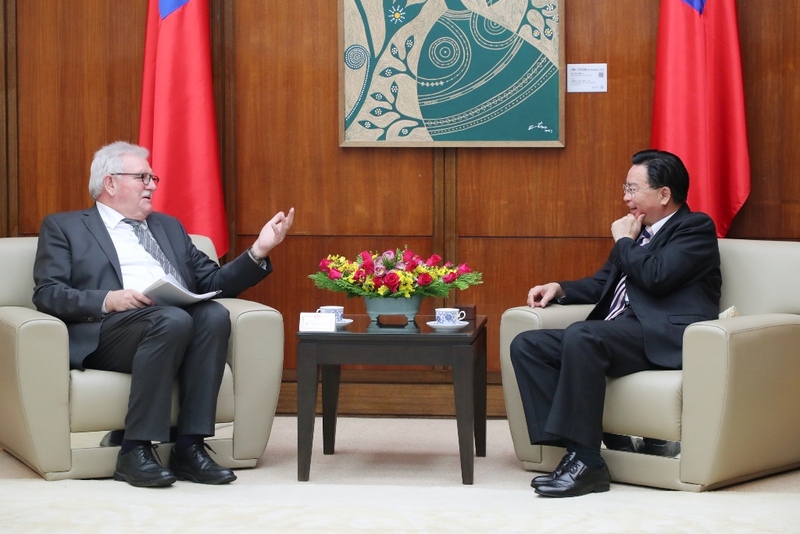 The visit underscores the staunch support of the EP and is sincerely appreciated by the government and people of Taiwan, the Ministry of Foreign Affairs said. Led by Werner Langen, a member of the EP from Germany and chairman of the group, the delegation comprises MEPs Bas Belder, the Netherlands; Eduard Kukan, Slovakia; Cristian dan Preda, Romania; and former MEP Georg Jarzembowski, Germany. The group was hosted by Minister Jaushieh Joseph Wu Feb. 18, with Belder, Kukan and Preda later awarded the Friendship Medal of Diplomacy for outstanding contributions to advancing Taiwan-EU ties. Additional activities on the delegation’s itinerary include a meeting with President Tsai Ing-wen, visits to the Mainland Affairs and National Security councils, and tours of important cultural and heritage sites. According to the MOFA, during a parliamentary debate last month, around 20 MEPs voiced support for Taiwan and its democracy in the face of aggression from China. They also urged the EU to take concrete measures backing the country and the right of its 23 million people to determine their own future. Other examples of EP support include a December 2018 resolution in response to the annual report on the implementation of the EU Common Foreign and Security Policy and the EU-China relations report proposed by Belder in September the same year. Both resolutions reaffirmed backing of Taiwan’s international participation and constructive cross-strait dialogue in preserving peace and stability.